Wayne Robert Lynch, 51, 423 N. Main Ave., Sidney, Ohio, died at the Veteran&#39;s Administration Hospital, Dayton, Ohio on Saturday, August 16, 2008 at 12:40 PM after an extended illness. He was born December 13, 1957 in Sidney, Ohio the son of Robert E. and Sue Elvira (DeVelvis) Lynch and they are deceased. Surviving are one sister, Susan (Lynch) Garrison and husband Steve of Piqua, Ohio; several relatives that survive in Arlington, Texas, Granberry, Texas, Michigan City, Indiana, Middletown, Ohio; John and Rita King of Sidney; Debbie King of Sidney; Forest King of Sidney; Greg Inderrieden of Sidney; Ty and wife Christy Garrison of Sidney; Kazi Garrison of Sidney; goddaughter, Sandy Andrus of Sidney and grandsons, Jeffery and Jacob Andrus of Sidney; one aunt, Helen Inderrieden and one nephew are deceased. 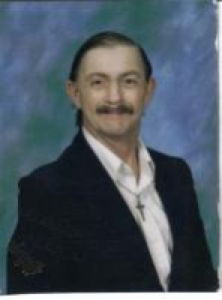 He was a 1975 graduate of Sidney High School and a United States Army veteran. He loved the Cincinnati Reds and to write. He was a member of the First United Methodist Church in Sidney. He had worked for the City of Sidney at one time and also for Dekker&#39;s Flowers. Funeral services will be held on Wednesday, August 20, 2008 at 10:00 AM at the First United Methodist Church with Rev. Chris Heckaman and Rev. Barbara Staley officiating. Burial will be at Cedar Point Cemetery, Pasco, Ohio. Friends may call at Salm-McGill and Tangeman Funeral Home on Tuesday, August 29, 2008 from 6-8 PM.